Picture this for one moment; your band is scheduled to open the main stage at Reading and Leeds Festival! It is one of the most exciting moments for a young band, at the early stage of their careers. It sounds slightly surreal, but for Judas it became a reality in August earlier this year when they were handed the opportunity. The two festival opening slots became available when another band dropped out. And luckily, the band members in Judas prefer to play bigger stages and believe it is where they belong. Residing in Camden, the four members come from different parts of England. Singer and guitarist John Clancy moved down from his hometown Liverpool, drummer Sam Horvath is from Norfolk, bassist James Phillips is from Andover and guitarist Todd Blackmore is from Portsmouth. Having just returned from their recent UK tour which ended at Sebright Arms in east London, Judas already has festival and live music experience in abundance. 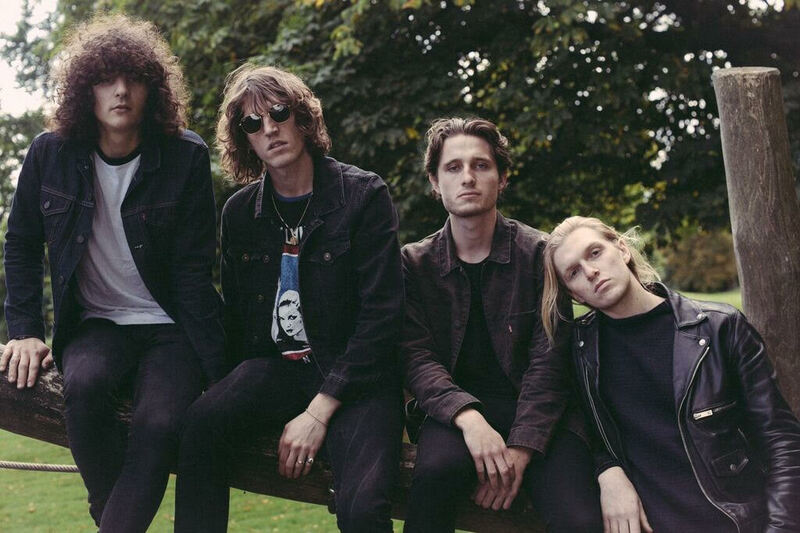 In addition to their Reading and Leeds opening slots, they have also played the likes of Isle of Wight, Kendal Calling, Y Not, Truck, Tramlines (main stage), Sound City and prestigious UK venues such as London’s Koko and Islington Assembly Hall. Their music is best described as really catchy, uplifting and uncomplicated rock. Describing them as a very young Coldplay or U2 is not entirely off the mark. If anything, it gives an indication of the band members’ hopes and aspirations for the future. They want to be big, play large venues and master classic songwriting. In 2015 they released their EP We Are Judas, which very much got their name about and created curiosity around them and the music. Songs such as Sister and Call Me from 2016 and Some People and Ceasefire released earlier this year have become much wanted and anticipated ‘best of’ tunes at live shows. At the moment they tend to record most songs and demos in homely surroundings and they have become pretty good at it. There are, of course, some amazing producers out there, and they would like to work with them in the future, when the time is right. But when they go in the studio, they are focused and know what sounds they are looking for and how to achieve them. The band members have been working on a wide range of songs over a longer period of time. Playing new songs live is always an thrilling moment. John: we have a lot of new songs and getting the crowd’s reaction to new material is a great feeling. Basically, it is what we are doing it for. We are in the house a lot of the time, in the studio or whatever, laying about these new tracks, working hard on our music, so it is satisfying to see the hard work paying off. John: we have the potential to become one of the best bands around. Our energy and personalities shine through at the gigs we play. We are interesting, we have a laugh and we are always up for having a great time when we play live. Our music is really good and that makes us different.The band’s ambitions are to take things as far as they can. They want to continue to build their audiences. They know they are very capable, but it requires time and patience.John: we are doing it organically like every successful band has done before us. It takes time, but then everything worth having in life, takes time.